The Cadent 2 is a sequel to the Raleigh Cadent 1 complete with significant improvements. In particular, the brand designed the Cadent 2 for midlevel fitness. The bike combines the lightweight and agile nature of a road bike with the sturdiness and stability of a mountain bike. Consequently, it is an ideal companion for tackling urban roads as well as light trails and uneven terrain. To help you decide if the Cadent 2 is the bike for you, here is an in-depth review. 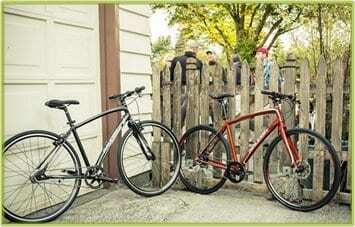 2 Why Should You Opt for The Raleigh Cadent 2 Urban Fitness Bike? 4.1 Does The Bike Come with a Kick Stand? 4.2 Where Do I Buy Replacement Parts for My Cadent 2? 4.3 Is Raleigh Cadent 2 a Man’s or Woman’s Bike? 4.4 Can I Take This Bike Off Road (Dirt and Gravel Trails)? The frame on the Cadent 2 is similar to the one on Cadent 1—AL-6061 Custom Formed Butted Tubing. The manufacturer chose not to interfere with the frame because it is both sturdy and durable. Also, the frame was a hit with most of the customers who purchased the Cadent 1. Thanks to this strong frame, the bike easily tackles uneven terrains. Of course, one cannot forget that Aluminum is incredibly lightweight which ensures the bike is both fast and easy to maneuver. The shifter featured on the Cadent 2 is one of the significant improvement from the Cadent 1. To start with; the bike comes with Shimano 3 x 8-speed shifters. The Shimano brand ensures the shifters are of high quality. That means the shifter responds whenever you move from one gear to the other during a ride. That it is a 3 x 8 means it offers a choice of 24 gears or combinations. The 24 gears make it easy to tackle difficult terrain. Also, they help in ensuring the bike performs well in varying weather conditions. Whether it is rainy or snowy, the bike will still perform efficiently. The front Shimano TX800 derailleur and the rear Shimano TX800 derailleur work in tandem with the shifter for efficient movement and change of gear. The tires and rims on the Cadent 2 resemble those on the Cadent 1. The bike features Weinmann QR17 Double disc rims which are sturdy, warp-resistant and capable of supporting an incredible amount of weight. The 700 x 35c Kenda Kwick Tendril Tires make the ride quick and efficient. Note that the bike’s 35mm wheels facilitate an increased grip which is highly beneficial on slippery roads or severe weather conditions. The Cadent 2 braking system is another significant improvement from the Cadent 1. The Cadent 2 features Tektro Novela Mechanical Discs which are absent in the Cadent 1. The mechanical discs have excellent stopping power, they provide incredible control, and they inject an element of safety. As a result, you can ride in severe weather conditions without fearing for your life. Also, the discs ensure you can tackle any terrain you wish to quickly and safely. Finally, the discs are easy to maintain which is convenient. The flat handlebars on the Cadent 2 provide for a comfortable grip angle. They ensure the hand’s position is always in line with the stem. Consequently, the rider can easily lean forward. 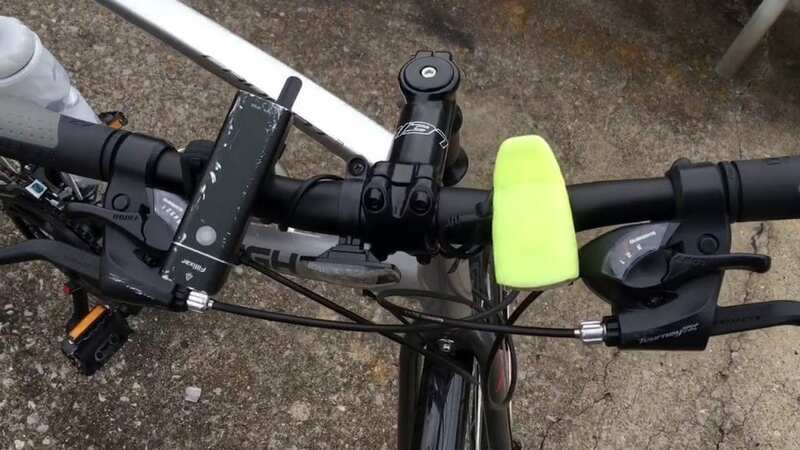 Moreover, the flat handlebars provide for better splitting and standing up positions. The bike has a sporty geometry which facilitates ease of use. Additionally, the geometry ensures that changing the way the bike handles corners as it goes up or down a hill is effortless. Similar to the Cadent 1, the bike comes in four sizes. The manufacturer recommends that you measure your inseam and height and then consult the following chart. The chart is as it appears on the Cadent 2 product page. However, if you have any issues, the manufacturer recommends that you contact them for guidance on how to find the perfect fit. 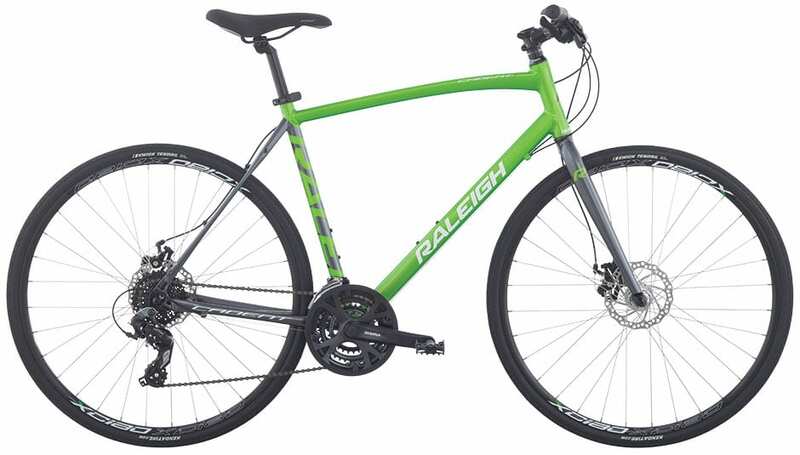 Why Should You Opt for The Raleigh Cadent 2 Urban Fitness Bike? The Cadent 2 stands out from the rest because of its green color. The color pops, and it makes you stand out from a crowd. In addition, the bike features a sleek, sporty design similar to the Cadent 1 which guarantees you look good when riding. Thanks to the added gears and disc brakes, the Cadent 2 is incredibly versatile. Whether it is a weekend adventure, or a daily commute or just a ride in an uneven terrain; the bike is up to the task. Especially when it comes to varying terrains, the Cadent 2 excels. Again, similar to the Cadent 1, the Cadent 2 is partially assembled on arrival. You only need to assemble the wheels, the pedals and tune the shifter. 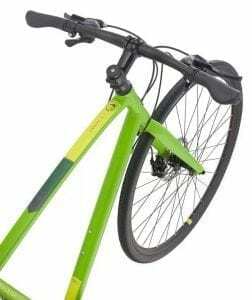 The necessary tools required for assembly come with the bike, and it will take you anywhere between 30 minutes to 120 minutes to complete the assembly. For a beginner, the bike comes with a manual. Note though that it might help if you employ the services of a professional for tuning. That will ensure the bike shifts correctly. The disc brakes play a crucial role in facilitating control. That means you can stop on the fly in any weather condition and still be safe because the bike will not spin out of control. The large tires also play a role in enhancing control thanks to the increased traction. As noted above, all the gear elements in the Cadent 2 come from Shimano. 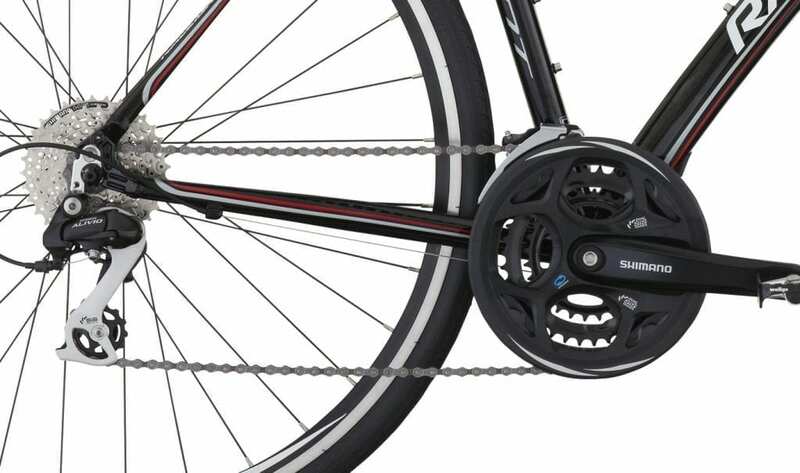 Shimano gears are known for their smooth and silent gear shift. Consequently, during a ride, you will not experience malfunctioning gears that refuse to shift whenever you encounter a particular terrain. Also, the clunking noise associated with some shifters is absent in the Cadent 2. Your ride will be silent, and all you need to do is concentrate on the road. The Cadent 2 weighs 25.59 pounds. This is even lighter than the Cadent 1. The lightweight nature ensures that transporting the bike and carrying it to and from storage is effortless. If not tuned right, the gear system might fail. It is essential to note that though the Cadent 2 has fender and rack mounts, it does not come with a fender. A fender is necessary when riding in rainy and wet conditions because it prevents the rider from getting wet. Therefore, if you choose to purchase this bike, you should also buy a fender separately. Because of the existing eyelets or mounts, installation is an effortless process that will barely take time. 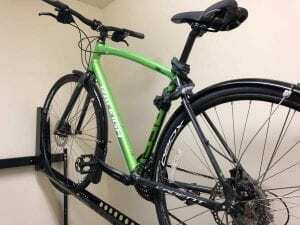 Additionally, fenders or racks depending on if you want racks as well, tend to be affordable. That means the extra cost will not hurt your pocket. Note that if your height is below 5’3”, then the Cadent 2 might not be the right bike for you. It is essential to contact the seller or manufacturer before purchase and consult on the size of the bike and if it is ideal for your height. If the Cadent 2 is not ideal, the seller will probably suggest something else that caters to your height. 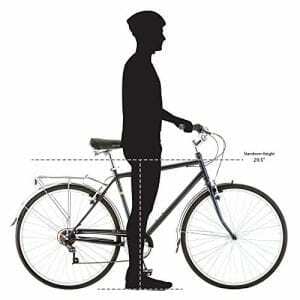 However, do not automatically assume that just because you are 5’3” and below, the bike is not right for you. Before purchase, you need to determine whether you will be using the bike for long rides or short commutes. For short commutes and one to three-hour weekend rides, you can purchase the bike without worrying about the seat. However, if you intend to use the bike for long rides, then you should consider buying a comfortable saddle. Preferably a gel top one. Similarly, if you will be mostly taking your bike off-road, you should also consider purchasing a more comfortable seat. 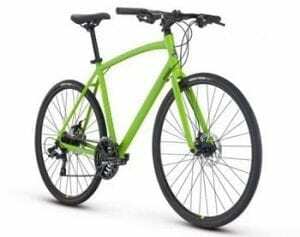 The Raleigh Brand is a reputable brand that has been in business since 1888.As one of the oldest bike brand in existence, they have perfected the art of making top of the line bikes. Thanks to this experience, Raleigh is constantly reinventing bike technology and creating iconic bikes. Over the years, they have launched bikes such as the Burner and the Grifter. Consequently, the Raleigh Cadent 2 and by extension the Raleigh line of urban fitness bikes are also high-quality. Does The Bike Come with a Kick Stand? No, the Cadent 2 does not come with a kickstand. Majority of bikes lack a kickstand because the frame materials or style might not support the kickstand. However, if you need one, then you can purchase it separately from a third party. For instance, you can consult a local bike shop, and they will recommend a kickstand that fits your particular model. Where Do I Buy Replacement Parts for My Cadent 2? Raleigh only sells complete bikes which means you need to get the replacement parts from either an online shop or local bike shop. A significant benefit with Raleigh bikes is that most replacement parts are not OEM-specific to Raleigh. As a result, finding the part is easy. In case of queries on compatibility, you can always contact the seller for details before purchasing the part. 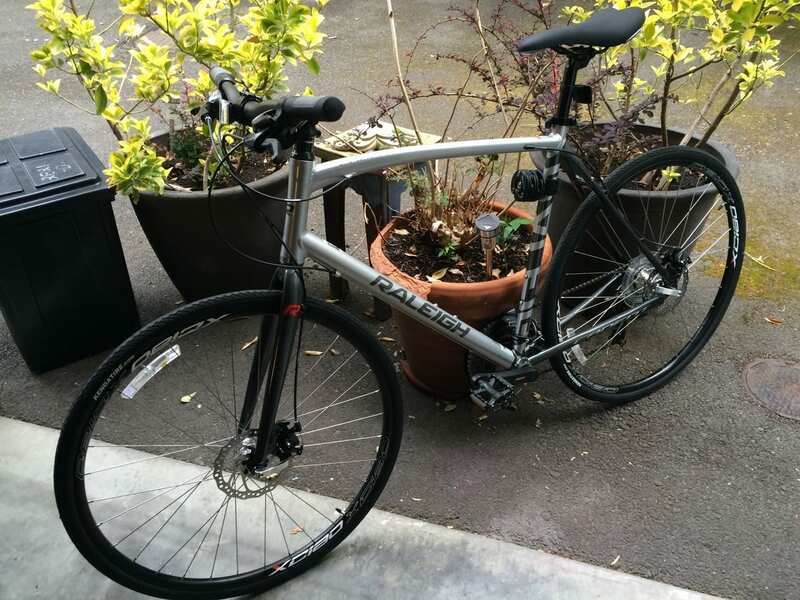 Is Raleigh Cadent 2 a Man’s or Woman’s Bike? The Bike is unisex. That means it is ideal for both men and women. The primary reason it is suitable for men, as well as women, is the multiple bike sizes. Women usually have smaller frames, and that means the small and medium bikes will probably fit them perfectly. Men on the other hand, often, have larger frames and larger inseam. Consequently, the medium, large and extra-large sizes will probably work well for them. Can I Take This Bike Off Road (Dirt and Gravel Trails)? The Cadent 2 is a hybrid bike, so yes you can take it off-road. However, you need to be careful because it cannot handle muddy or extremely rocky trails. One, the bike lacks shock absorbers. That means it is very uncomfortable with extreme off-road conditions. Two, the width of the wheel is more suited to urban roads and mild off-road conditions. Therefore, gauge the state of the off-road before a ride. The Cadent 2 merges the best elements of a road bike and a hybrid bike. Also, as noted above, it improves greatly on the Cadent 1. If you are a fitness enthusiast, or you love cruising, this bike is worth considering. Tim is a talented writer with focus on actual product reviews. As he spends a lot of time outdoors, he often examines sports related products such as bikes. 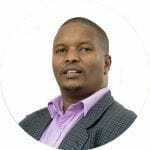 He's passionate about creating a quality resources that helps readers make a buying decision.